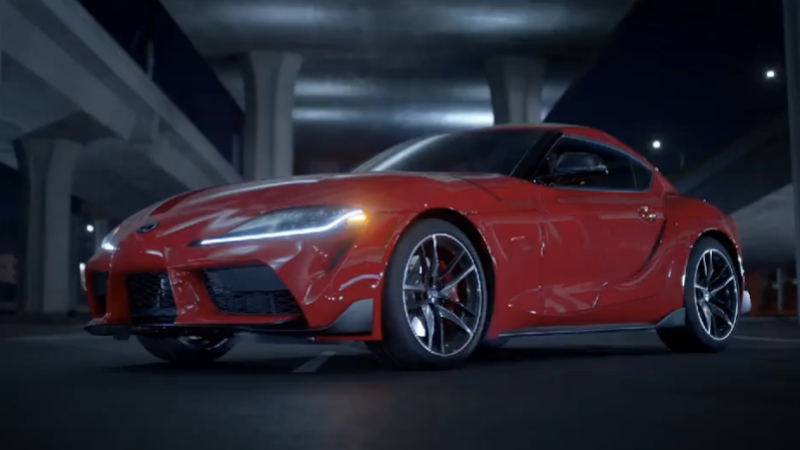 Another leak of the upcoming Supra has made its way online, thanks to an accidental tweet on the Twitter page of Toyota Mexico. The teaser video gives us the first full look at it, without all that troublesome camouflage. Production styling is similar to that of the original FT-1 concept that was unveiled back in 2014, but there are a few design changes that have been made as the car prepares for release. The nose is far less pronounced, there’s no rear wing and the side profile is much cleaner. We know that the fifth generation model will share many of its underpinnings with the BMW Z4, and we can now get a better sense of how the shared 3.0-liter turbocharged inline-6 will sound as it revs its way through the gears. With the Supra set to unveil at the 2019 North American International Auto Show next week, there is no longer an aura of mystery around what Toyota will deliver. It looks promising and we will get a much closer look at it in the flesh, in just a few days time. Last edited by toyotaft1admin; 01-11-2019 at 04:09 PM. Great to finally see/hear it in action. Was not a fan of that rounded nose, so I'm glad that they've removed it. The front has gotten a lot more similar to that of the 86. Anyone else will the same feels? I 100% agree. They have changed too much and made the pricing that much harder to justify. I though jointly producing it with BMW would make it more approachable for new buyers. It was just part of Toyota's hype machine. The only time you can expect better is with Lexus, anything below and you're SOL.